I was at NMASS a month ago and now I’m getting around to talking about rightcheer. 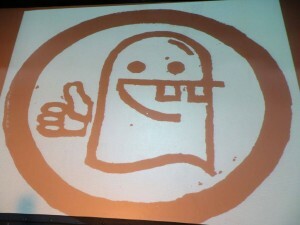 The New Media Art and Sound Summit was put together by the Church of the Friendly Ghost to help celebrate alternative media in the arts. Events ranging from musical performances, workshops, and films sprinkled the weekend of June 14th. I was super busy that weekend so unfortunately I only had one evening to help support their efforts. And what an evening it was. What drew me to this was the workshops. There were a couple of workshops available via their Indiegogo campaign that included circuit bending and euro-rack style module building. I opted for both, beginning with Super’s PH01 module. I’ve build some items before, mostly from Bleep Labs, so I came prepared. What I wasn’t prepared for was all that goes together in putting together and testing modules. I followed the instructions and worked with some cool people while building it. The hot glue gun was a new concept in building these items and its now on my shopping list. What else is on my shopping list? A case and a starter kit for an analog synthesizer. I used the workshop as a low barrier to entry for an analog synth and now I will be in the market for one to test/play with my new module. But that wasn’t all for the night. 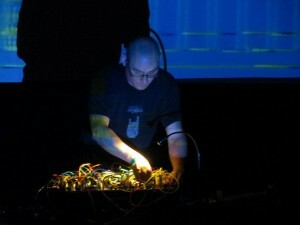 I also witnessed some ambient and outer world sounds from artists like Thomas Fang, Rick Reed, and Richard Devine. There were racks that stood 6 feet tall and racks that looked like it could fit into a typewriter box. Each one came with their own sounds. Some guys scripted it, other guys hacked analog light shows with it. It was very much experimental and very much though provoking. I don’t see myself getting into the experimental side of analog synthesis. I do see myself using the racks to design my own sounds. Now, I won’t be making a living off it like Richard Devine, but I have this burning to desire to be responsible full stack wise in my music production. Samples are cool and so are sample packs. But I’d rather have my hand in creating all aspects of the sound. Sure I’ll sample something by myself at some point but if I can make it with a rack first, I’m going to do it. Finally, and this was why it took so long for me to pump this guy out, I attended a circuit bending workshop with Thomas Fang. I had some old toy noisemakers that we dug into and garbled all up. The bending experience, if you haven’t done it before, involves mangling circuit connections on boards to generate interesting, divergent sounds. The takeaway for me was that it’s incredibly simple to get started. Sure, if you have the tools available you can make a slick-looking modification, but you could just very well break into a toy and solder a couple of connection points. All in all, NMASS, for my short time during there during the event, was a rich and educative experience for me. It helped me generate ideas on where I want to take my sound creations. It also gave direction toward what I want to focus on here for the rest of the year. 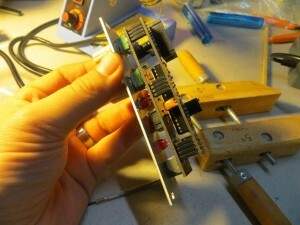 That creative itch is tickling and now I want to scratch with bent toy and soldered modules.